Drivers of both public and private vehicles are given one week to remove unnecessary accessories from their windshields and dashboards, according to the Land Transportation Franchising and Regulatory Board. This includes bobbing head dogs, curtains, religious icons, and even rosaries often hung by drivers on their rearview mirror. 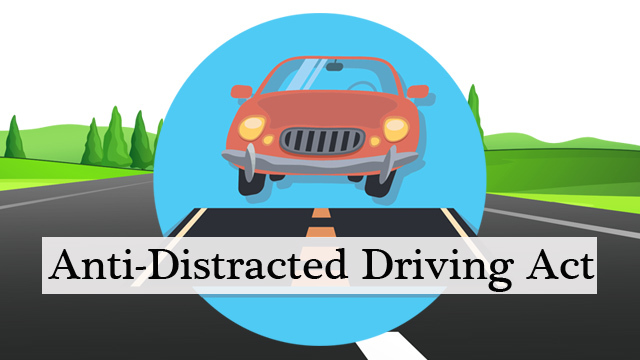 The Anti-Distracted Driving Act (ADDA) has since cause confusion to the public since it officially took effect on May 18, ten months after it became a law in July 2016. According to Republic Act No. 10913 or the Anti-Distracted Driving Act, ‘distracted driving’ is defined as using telecommunication or entertainment devices while in motion or when temporarily stopped at a red traffic light. Meanwhile, some motorists use their handphones or gadgets due for navigation purposes using GPS. However, the current law would make the technology illegal to use. How Much will be the Fine for the Violators? While the law was specifically aimed at devices, LTFRB Board Member Aileen Lizada stated that the accessories on the ‘line of sight’ of drivers were already prohibited by an earlier memorandum; the Joint Administrative Order (JAO) 2014-01. Under the said order, ‘defective and unauthorized accessories’ that could be ‘prejudicial to road safety’ are all prohibited. Motorists are expected to comply by May 26 after which violators would be fined Php 5,000. Aside from those stated above, drivers who would be caught putting on make-up or drinking coffee will also be fined. According to LIzada, it also violates the ‘reckless driving provision’ under JAO 2014-01. This will mean a fine of not less than Php 2,000 but not exceeding Php 10,000. Violators may also have their driving license revoked. The ADDA and the Children’s Safety on Motorcycle Act have both been postponed due to the confusion from the public. Thus, LTFRB decided to suspend the execution of the said laws up to May 26 until proper information dissemination drive has been conducted.